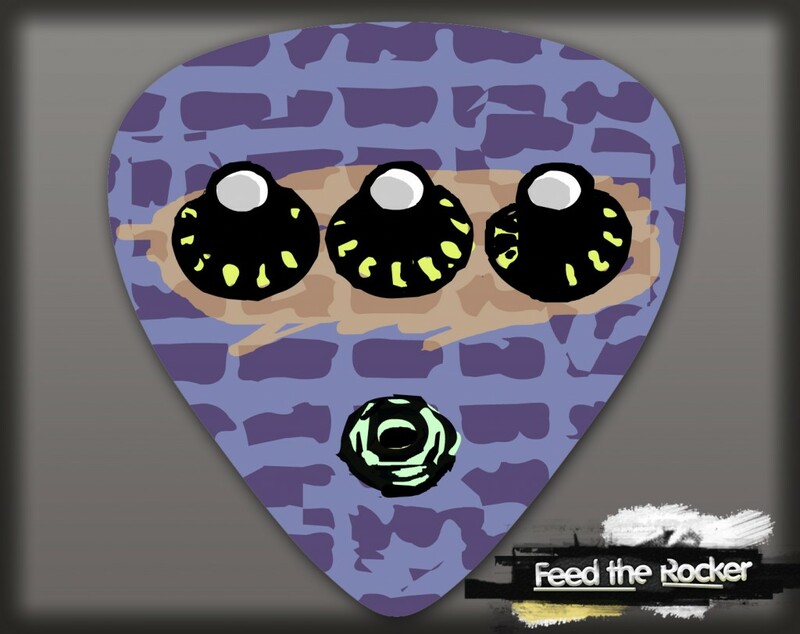 A Fun Game For All You Rockers ! Musicians need to work at their craft to earn the right to play for the masses, but necessities don’t come cheap. 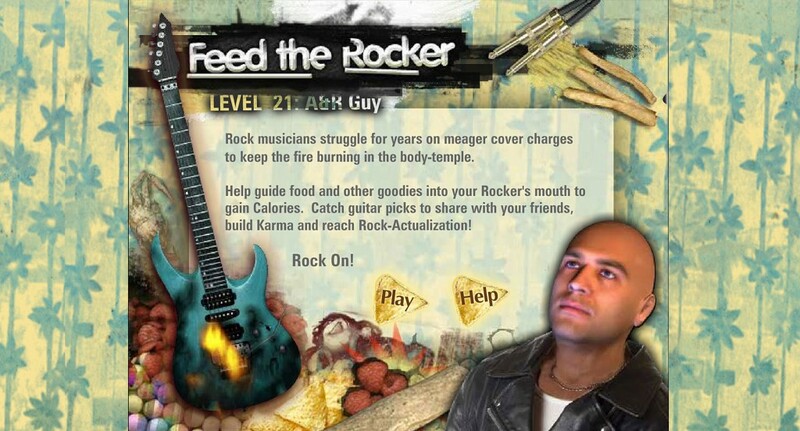 See if you got what it takes to keep The Rocker well fed with tasty snacks. 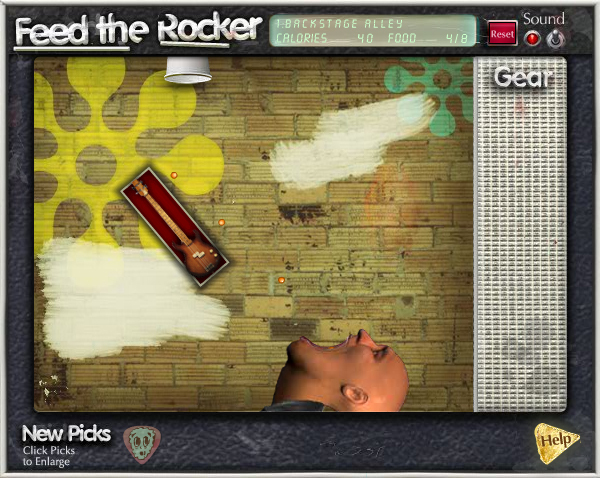 Make ‘interesting’ music while bouncing food into The Rocker’s mouth and earning special prizes along the way. Sharing The Rocker’s story with your Facebook friends. You would have earned cool rocking virtual gifts to give to your friends and build your Karma. Who is The Rocker ? He feels your pain and turns it into music. He experiences a hard-luck life and turns it into music. He eats snacks in unusual situations. Rock musicians struggle for years on meager cover charges to keep the fire burning in the body-temple.